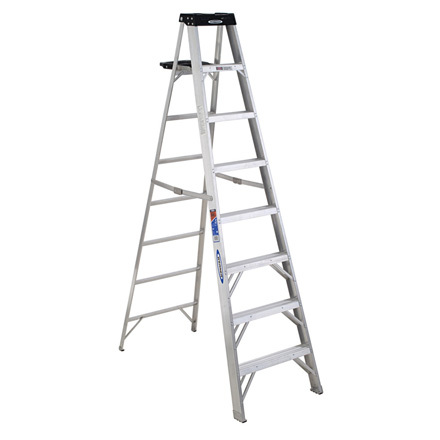 The 378 Aluminum 8' Step Ladder has a duty rating of 300 pounds yet is lightweight and easy to transport. 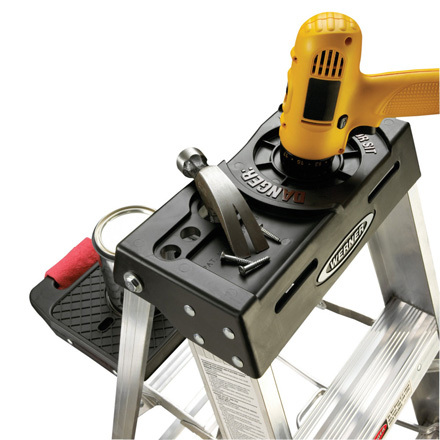 The TOOL-TRA-TOP® has a drill holster, convenient tray for tools/paint and small parts. There is also a sturdy molded paint can hanger on the backside of the top. 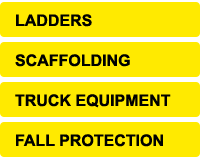 The SPILL-PROOF® pail shelf has a rag rack and holds a gallon paint can and automatically closes with the ladder. There is a full set of horizontals on the rear section. 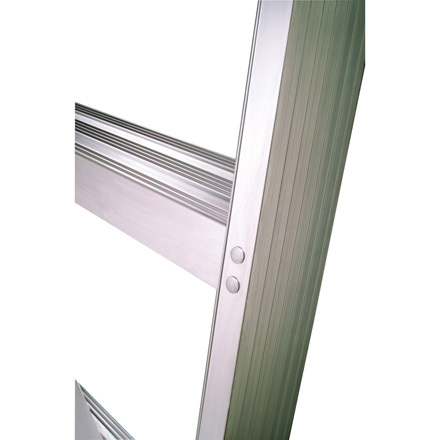 The TRACTION-TRED® steps are slip resistant and double riveted.